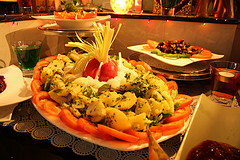 Curry & Chips offers catering for all occasions, from intimate dinner parties to large parties and corporate functions. Providing you with a wide range of gourmet short-eats, finger foods, traditional rice dishes , hoppers or a mix of east meets west cuisine. What ever you require Curry and Chips is able to deliver. We can also provide professional staff and equipment to help you create the perfect event.